The Wolf Creek Inn is the oldest continuous use hotel in the state of Oregon. Built in 1883 by pioneer merchant Henry Smith, the Inn was billed as a "first-class traveler's hotel" for folks traveling on the stagecoach. 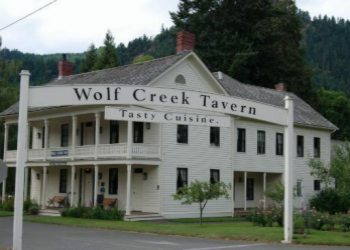 The building was first called Wolf Creek Tavern, an old English term describing a hotel that served food. By the 1880s Henry Smith had accumulated large land holdings, many of which he planted in orchards that still stand today. In fact, the large apple and pear trees located next to the Inn north of the dining room are part of an orchard planted in 1885. In 1975 the Inn was purchased by the state of Oregon. Local carpenters and craftsmen spent 4 years restoring the Inn to its former luster. Historians from the Oregon State Historical Preservation Office spent countless hours researching the original floor plans and wall coverings in order to return the Inn to the look and feel of the mid 1920's and recreate the atomosphere for current visitors. Many famous folks visited the Inn, including President Hayes, Jack London, Clark Gable, Carole Lombard, Mary Pickford, Fredric March, Patrick Stewart, Robert Redford and Sir Anthony Hopkins, just to name just a few. In August 1911, Jack London stayed at the Inn for several weeks, where he enjoyed hiking in the forests behind the Inn. During this time, he wrote a short story entitled "The End of the Story." He also completed his novel "Valley Of The Moon" during another stay. 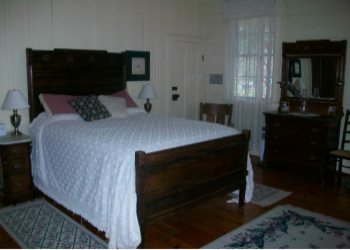 Jack London's room is in the front of the Inn on the second floor, much as it would have appeared in 1911. 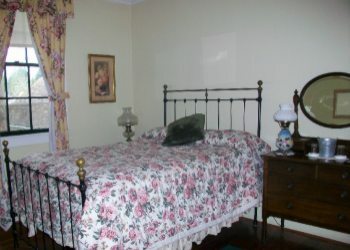 Wolf Creek Inn has 9 beautiful Guest Rooms tastefully decorated and furnished to reflect the late 1800's. In keeping with the period atmosphere, televisions and telephones are not available, however WiFi is now available to our guests at no charge. Each guest will be served a full hot breakfast in our dinning room. Guest Room 3 is handicap-friendly with two twin beds and a walk-in shower. Haunted? - Click here for the ghost who like to visit the Wolf Creek Inn.